With nearly every part in the bathroom being fit for tiling, tile can do for a bathroom what landscaping can do for an empty space. 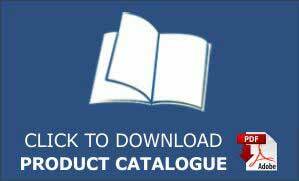 Step into a bathroom tiles showroom and you'll be surprised as why 4 x 4-inch white matt finish tiles has remained the bathroom standard for a long time. Here are just a few bathroom tile designs for stamping every surface of your bathroom. Shower walls and floors are great for fun and fantasy. Water-related themes are always suitable here. A “river rock” floor tile perhaps, wall tiles with wave patterns or gradients of blue-to-clear glass tiles that imitate the color variation of a swimming pool. 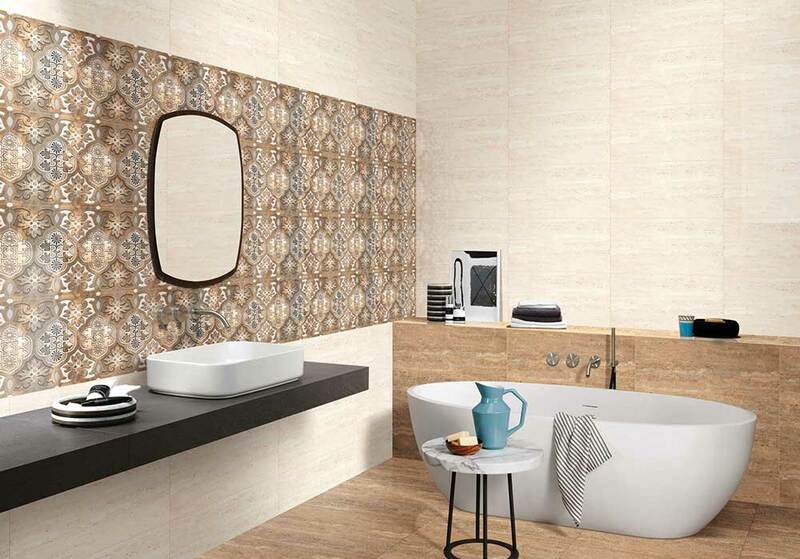 Tiled walls around tubs are perfect for building a focal point, turning the bathing area into an inviting design. Pictorial mosaics set the stage for your next bath escape. When it comes to the floor, bathroom floor tiles designs vary from neutral combination of earth-tone tiles to black-and-white checkerboards. 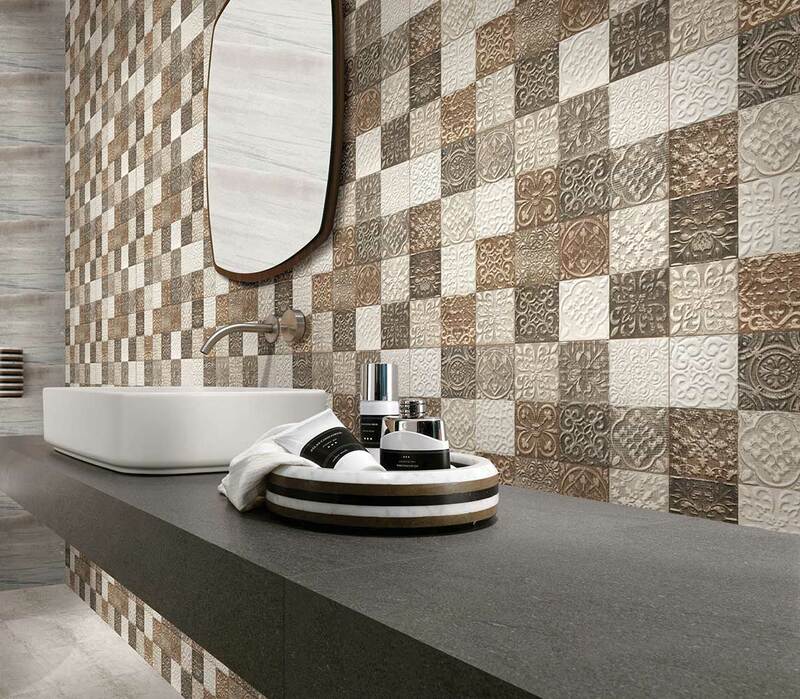 Small mosaic tiles in distinctive colors are a timeless classic. 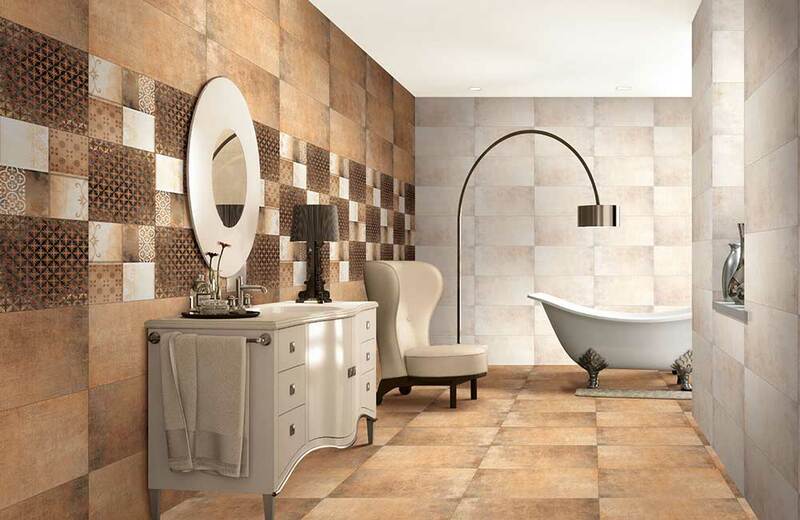 To avoid an unduly busy scheme, bathroom floor tiles should complement the wall color. Adding tile outside of the shower area is a fine way to dress up and waterproof areas around toilets and sinks. A wainscot of bathroom wall tiles is a classic traditional way that allows for extra decor on the top area of the wall. The backsplash has inspired a new set of bathroom floor tile design ideas. Rectangular white tile brings a neat, classic look, while tinted glass tile puts color with a captivating, watery depth. When faced with the seemingly unlimited, overwhelming, various tile options, try to avoid choosing mix of every tile you love. On the other hand, don't go in the opposite way and opt for a "safe" option like plain white tiles. 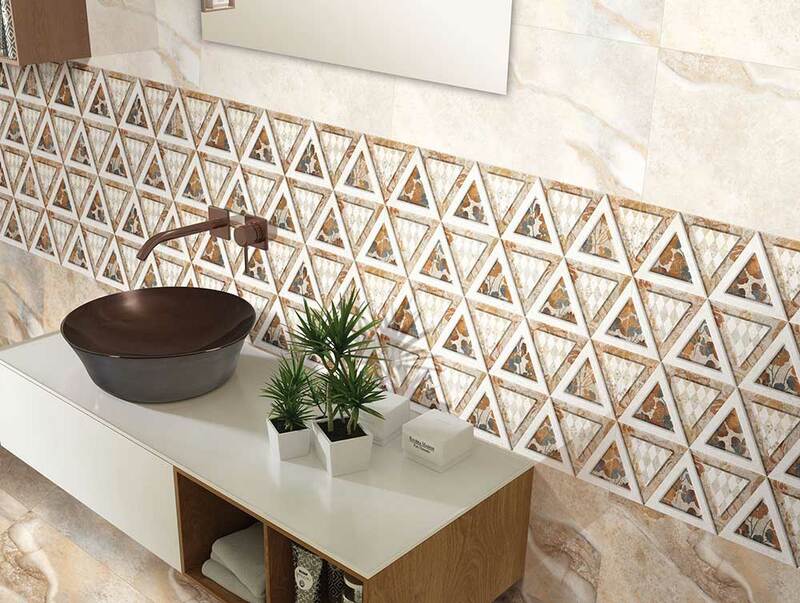 The best plan is to decide on an overriding design for the bathroom, and choose a collection of tile designs that complement the central theme.